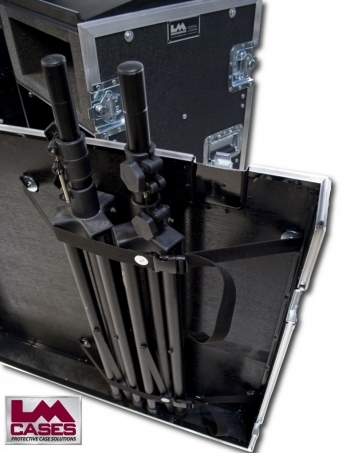 This case was designed for Spring Hill Camps. The case features a 18RU equipment section with rear rail, as well as a 11 RU mixer section to accommodate a rack mounted mixer. 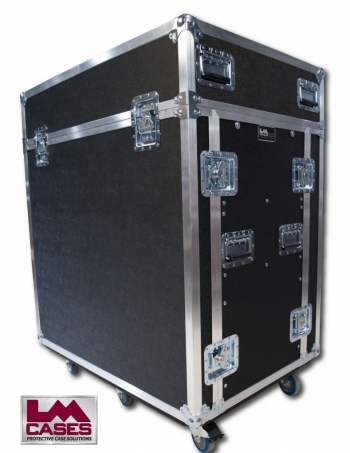 The case also features a foam lined compartment for a projector, speaker stand storage in the rear lid, and a black formica laminated production work surface. 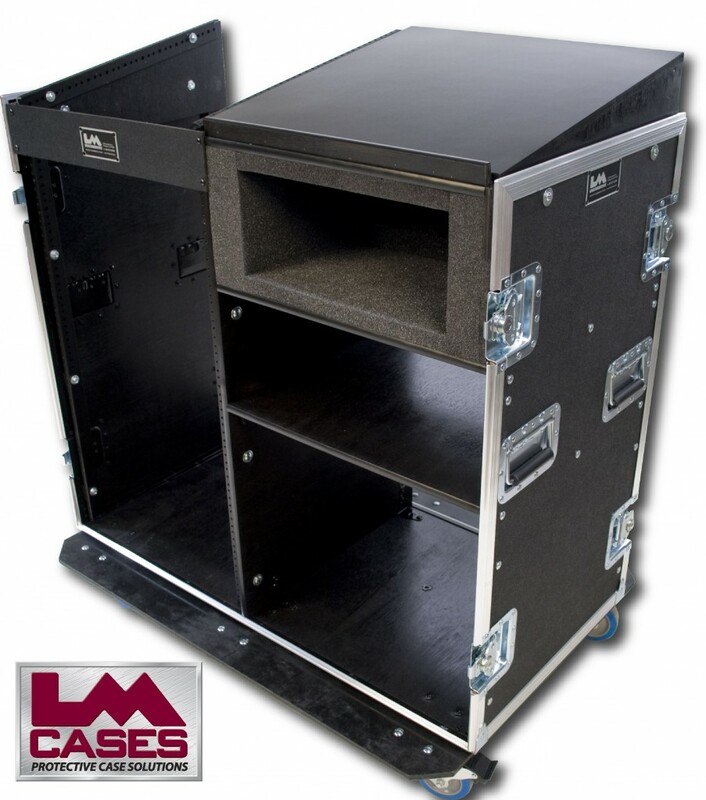 The case is built out of 3/8" plywood and features 4" Colson casters.